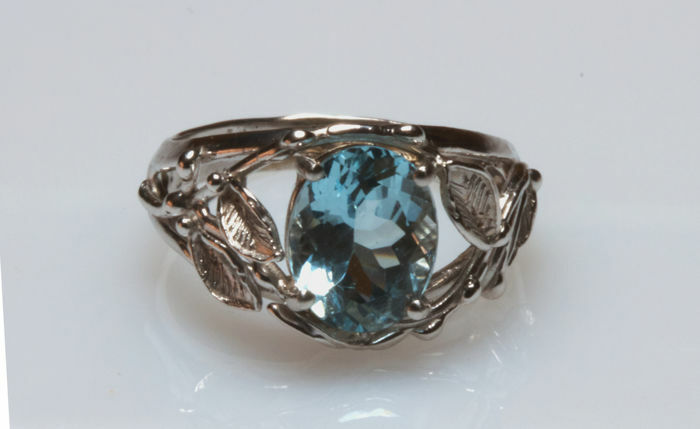 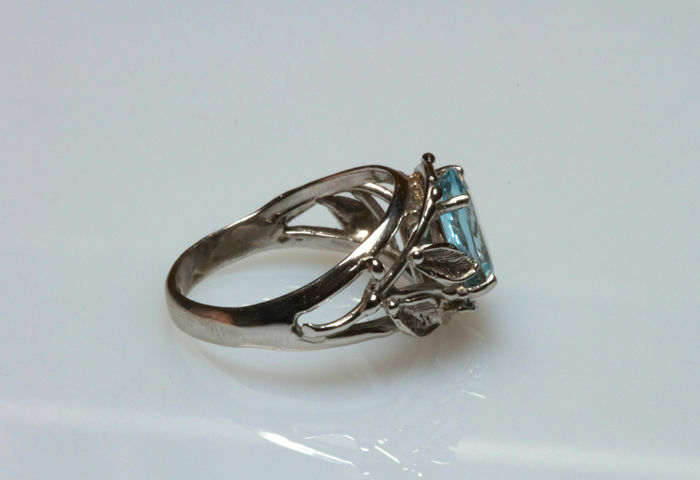 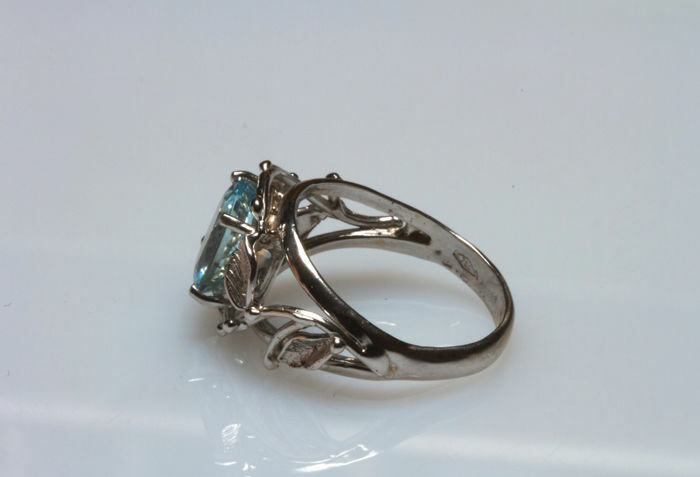 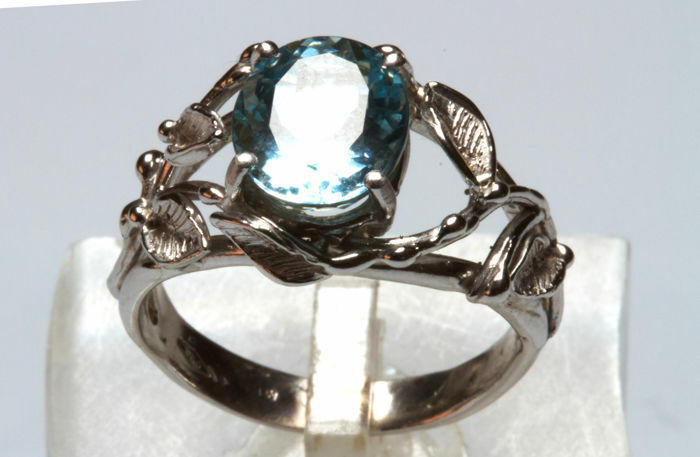 18 kt white gold ring with raised leaf design and a stunning, deep light blue aquamarine. 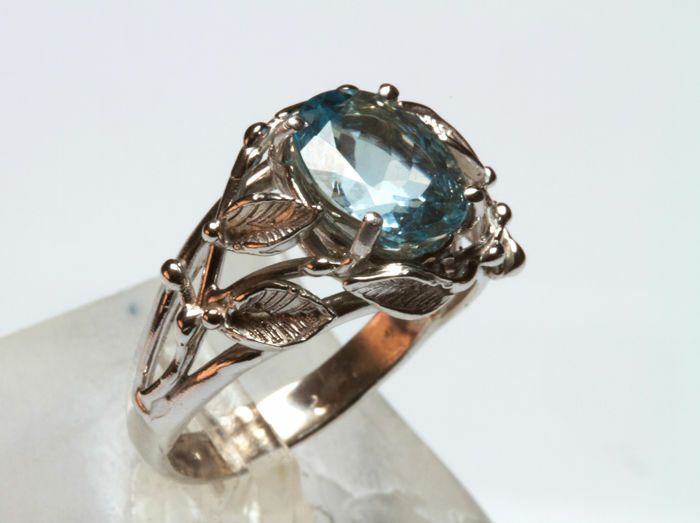 The ring is one of a kind, the leaf finish is handmade with the "lost-wax" technique. 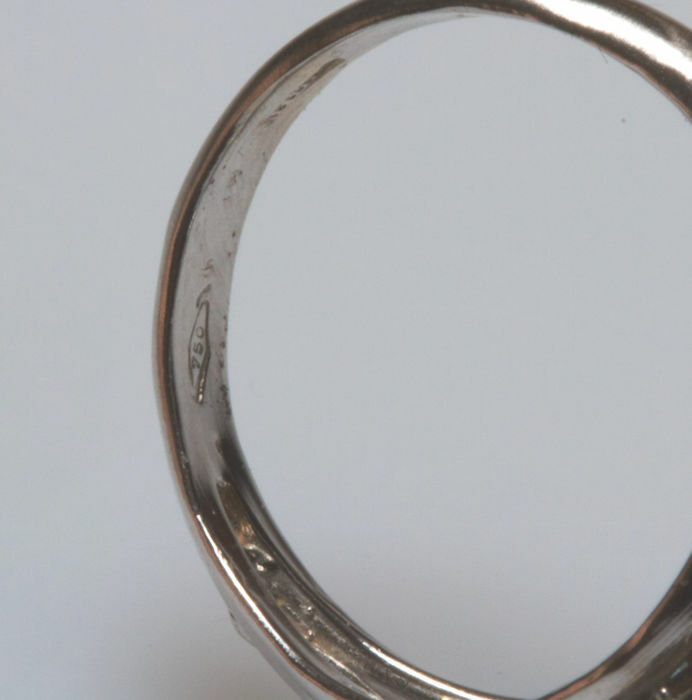 Size: 12 mm (inner diameter of the ring). 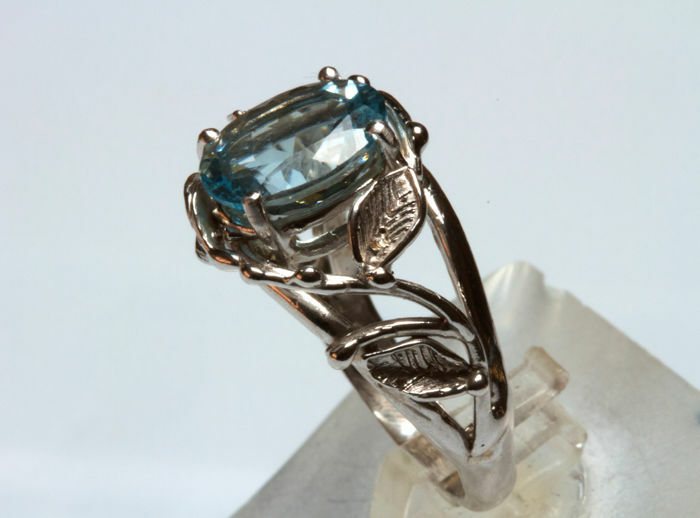 Precious stones are commonly treated to intensify the colour or clarity; the item in question has not been verified in this sense. 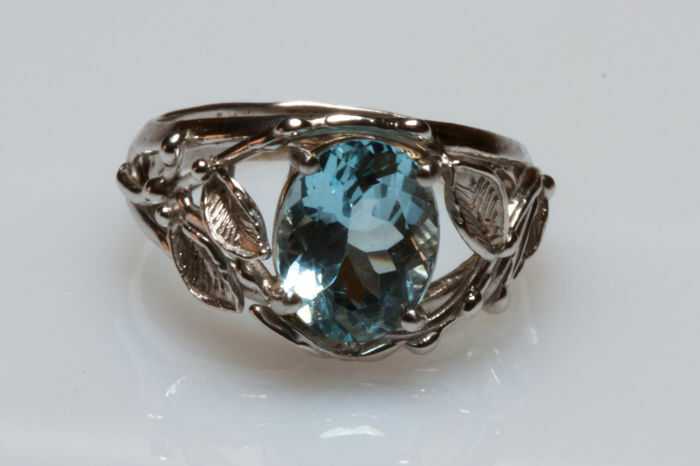 The lot will be carefully packaged and sent using an insured and tracked service for valuable goods. This service is slightly more expensive than a standard courier but guarantees fast delivery and avoids the risk of loss or damage.